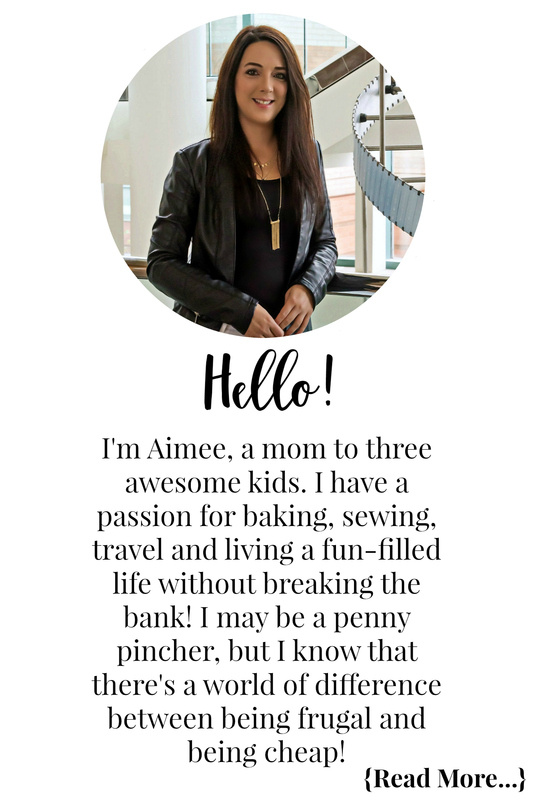 Mom’s, dad’s, parent’s-to-be, aunt’s, uncle’s, grandparents and anyone who knows someone with a baby or who is having a baby I hope you read my review because today I am about to tell you about one of the most amazing products I personally believe every single parent needs – yup I said it, you NEED this! As some of you may know (if not, you will now) I have three children; Abby is almost 12, Hailee is 9 and little miss Bella is almost 4 months old. So as you can tell I am somewhat of a veteran when it comes to parenting and products for babies as I have been there, done that, failed, failed again and with some perseverance I have succeeded in molding my kids into well-behaved, amazing okay, okay if they don’t kill each other it’s a good day around here! I will tell you now when Abby & Hailee were little there were very few options for baby bathtubs, you pretty much had the standard white oval-shaped tub and a mesh inclined insert you would put into the baby tub so they didn’t drown would be nicely supported and you could bathe them with ease. Fast-forward almost 9 years from my beautiful Hailee and as Bella was baking in my belly I began the task of collecting items we would need when she arrived. I was absolutely amazed with the amount of products out there now especially the huge selection of baby bath supports. As a new mom this may be intimidating as you have never bathed a baby, you have never used one of these types of products, what works, what is best are probably the questions running through the minds of many first-time parents – I was there once, 12 years ago but I had less options so choice were easier! One of my biggest pet-peeves about the old style of baby bath supports (those mesh ones) is eventually they get this nasty smell, now I wish I could insert a scratch and sniff here for you but I can’t so I will best describe the smell as that of a dish cloth that has been on the counter for far too many days, or those towels you forgot you washed in the washer and they have been sitting there for a few days – yup that smell. I will tell you as an experienced mom, you will NEVER get that smell out of that mesh, wash it all you want it is stuck in the foam padding that covers the metal rails to make it comfier. I am sure some experienced moms have a huge smile (or a disgusted face) right now because you know I am telling the truth! 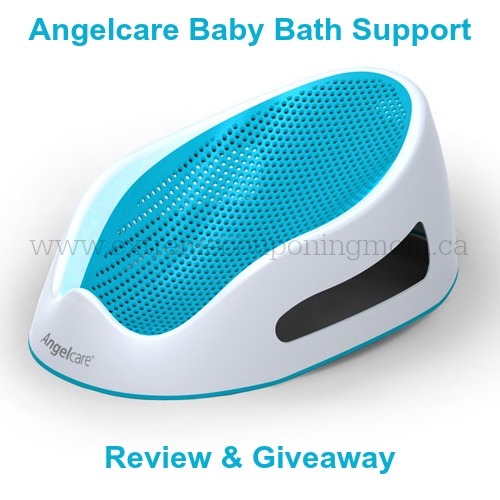 In comes that product I said every parent of a baby needs, the Angelcare Baby Bath Support! This amazing, innovative product is designed for comfort and will never smell like other products on the market. The Angelcare bath seat support is recommended for babies up to 6 months of age and the maximum recommended weight capacity is 30lbs. This bath support goes right into your tub and has an amazing slip-resistant grip on the bottom to keep it from sliding around while you are bathing your baby. It also comes in two colours; blue and pink! Bella absolutely loves bath time, every night around 8:00 she will start to get fussy and I look at her and say “does Bella want a bath?” She instantly smiles from ear to ear and starts getting excited. When she hears the bath water running her little arms and legs start going and I can’t get her in the tub fast enough! 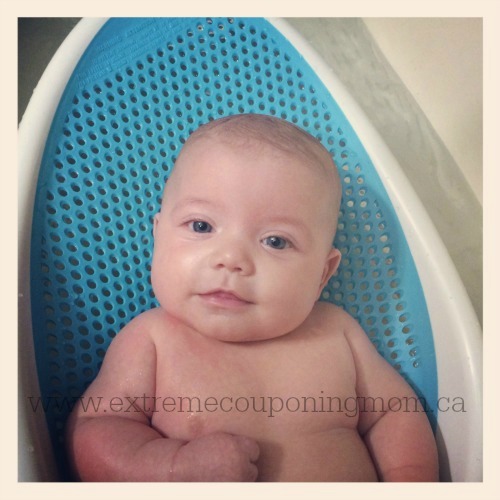 I find the Angelcare Bath Support has made bath time much easier, the mesh seating area and the fact it goes right in the tub has made getting all the soap off of Bella so much easier vs other bath seats we have used. I love the fact it cleans so easily and dries so fast. Hygienic and Mildew-Resistant – The mesh material allows water to drain easily from the bath support and dries quickly. Used Directly into Bath Tub – Easy to use on daily basis, you can place it directly into your bath. Easy to Store – This baby bath support also has a handy loop at top so that you can hang it up for convenient storage. Ergonomic Design – Ergonomically designed for your baby’s comfort and safety, the Bath Support assures that your child’s hygiene is maintained. Soft-touch material: Angelcare has used a soft mesh material that’s gentle on baby’s delicate skin. Durable, Lightweight Plastic – The Angelcare bath support is designed to keep it shape over time. Bella agrees with mommy and we give this product two thumbs up! I also love that it has been awarded the PTPA Seal of Approval, to me this means real parents tested out this product and loved it just as much as we did and hopefully just as much as you will! Check out this quick cute video that perfectly shows just how easy and amazing this product is! 3. This contest is in no way sponsored, endorsed or administered by, or associated with, Facebook. Disclosure: Angelcare provided me with the above mentioned product and prize in order for me to complete this review/post. Even though I was given a product for this review/post I always give my honest opinions, findings, beliefs, or experiences. The views and opinions expressed in this post are purely my own based on my research and experiences. Any product claim, statistic, quote or other representation about a product or service should be verified with the manufacturer, company, provider or party in question. Would love to win a blue one – have a good friend awaiting a baby boy any day. The smell you are talking about I totally remember from my lil ones baby days! I am glad someone knows what I am talking about 😉 was hoping I wouldn’t look like a crazy lady! I want to win this for myself. I absolutely love the Angelcare brand. I’d choose blue! Im due in two weeks with a baby boy! I would love blue! I would love to win this for my brother and I would like the blue! I would love to win one of these in any color! I would like to win this for my little one. Blue would be just fine. Would love to win one for our next one we plan on having. I had a hard time with the mesh insert and just keeping the tub clean and not smelly. This looks awesome. My sister in law is going to have a baby any day. Would love to include this in her gift. I hope to be having a third in a couple years, would probably by one for myself if I hear good things from her. I want to win this for my little boo in pink! Our babies are about the same age. We have a basic tub that was a hand me down and doesn’t have much support. Since my little boo is growing and getting heavier, its getting harder to support her head. She loves her baths too! My sister is having her 5th baby and she got rid of all her baby stuff. I would love to give this to her. She is having a boy so I would pick the blue one. any color i would love! I would want a pink one for my best friends baby! I would donate it to a woman’s shelter, as for the colour I guess I`ll go with blue. I’d like to win this for my niece and nephew for their first baby. I’d pick blue. I lot easier than putting on my knees with a third on the way this would be great and toddler could help! PS any color is fine I do not know what I am having anyways and babies do not mind! I would win this for my future baby and I would pick blue. I would love to win this for my nephew. I would choose the blue. I would love this for my niece’s new baby boy. I would pick blue. I would love ti win this for my sister and I would pick blue. This would be perfect for our new baby! I would like to win this for my niece in the blue colour. The babies gender is not known yet so to be safe, blue is best. We’re trying for #2 so I want it for me! And any color is fine! the one shown is perfect! I would love to win this for my unborn baby… I don’t know the gender, but I would be happy with any colour! Baby on the way and this would be great to have! Super nervous to bath baby and this looks very supportive. I would like to win this for my bestie. She will be having a baby in the next few weeks and this would be so helpful! I would love to win this for my friend’s baby and I would choose blue! I would to win this for my soon to be coming baby I December. Such a great design…..wish these were around when I needed them!